Veteran international journalist and CEO of Rappler was arrested at the Ninoy Aquino International Airport (NAIA), on Friday, or a day after a court issued an arrest warrant in connection with her alleged violation of the Anti-Dummy Law. According to report, two female police officers served the warrant to Maria Ressa after she landed at the NAIA at around 7:00 AM today. 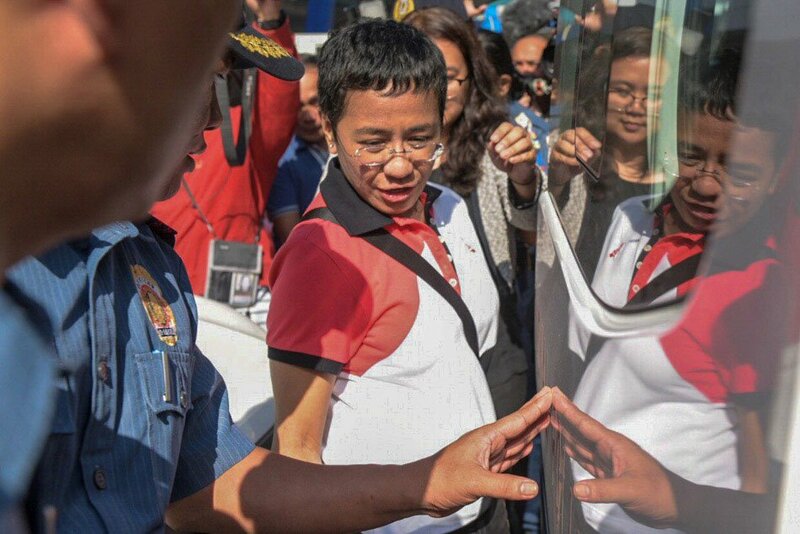 Maria Ressa took to Twitter and posted "Will they actually arrest me again?! @rapplerdotcom this is insane. Such violations of the Bill of Rights and the PH Constitution," Ressa said in a tweet shortly after she was confronted by the police. The controversial journalist and critics of the Duterte administration also posted a photo of her riding a vehicle while being transported to the Pasig Regional Trial Court (RTC) Branch 265. In an interview with ANC's Early Edition Maria Ressa was quoted as saying "It's kind of interesting, I have 9 policemen escorting me along with my trusty lawyer," Ressa told ANC's Early Edition. "This is a travesty of justice. I have done nothing wrong. I am not a criminal. I am treated like a criminal," she said. The case of Maria Ressa, stemmed from a National Bureau of Investigation complaint related to the issuance of Philippine Depositary Receipts to Omidyar Network, an Indonesian company that invested in the online news website. Under the Philippine Constitution, media entities in the Philippines must be 100 percent Filipino-owned. Rappler belied the allegations that it was being controlled by a foreign entity, but the Court of Appeals ruled earlier this month that the news website was not fully-owned by Filipinos.